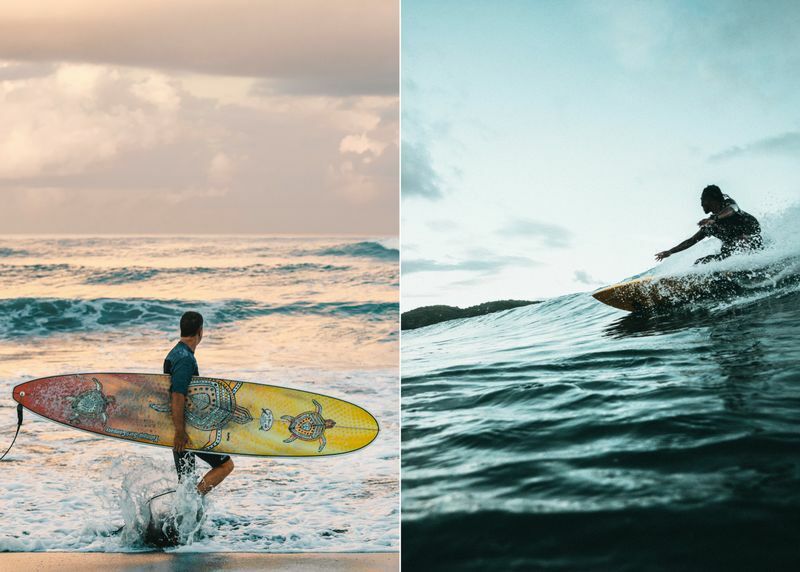 If you were taken by the attractive photos of surfers gliding on gigantic waves and had an idea that surfing could possibly be an easy sport, then you are so wrong. Surfing is no less than a challenge, and it is perfectly alright if you are not an expert at it. It’s been almost seven years since I started surfing and to be completely honest with you, I have had my shares of embarrassing falls with my face flat into the sand. 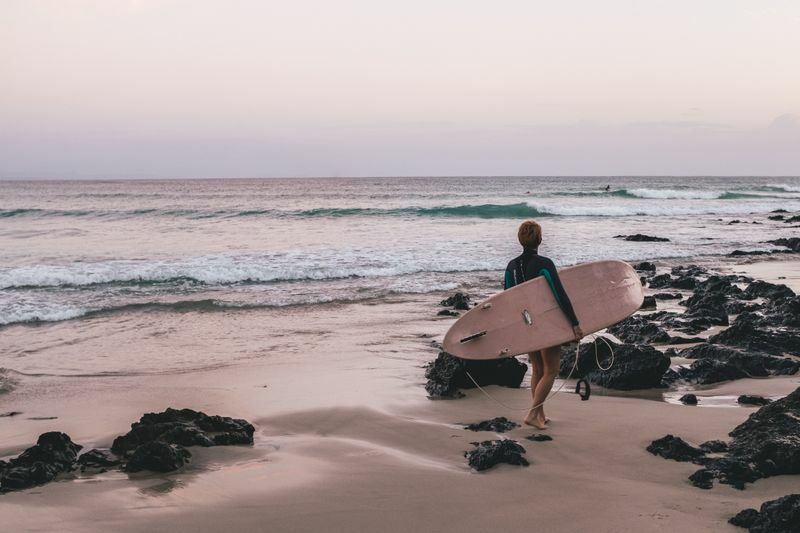 Surfing is all about patience and practice, and you need to have realistic expectations before you approach the water with your surfboard. If you have only recently started out and are still a novice surfer, then I can understand how frustrating it can get to see others catching waves with such ease and grace while you trip off balance from your board. But the reason behind your failed attempts might be the following common mistakes that beginner surfers make. The first (and the biggest) mistake that most kooks make is the wrong choice when it comes to a surfboard. 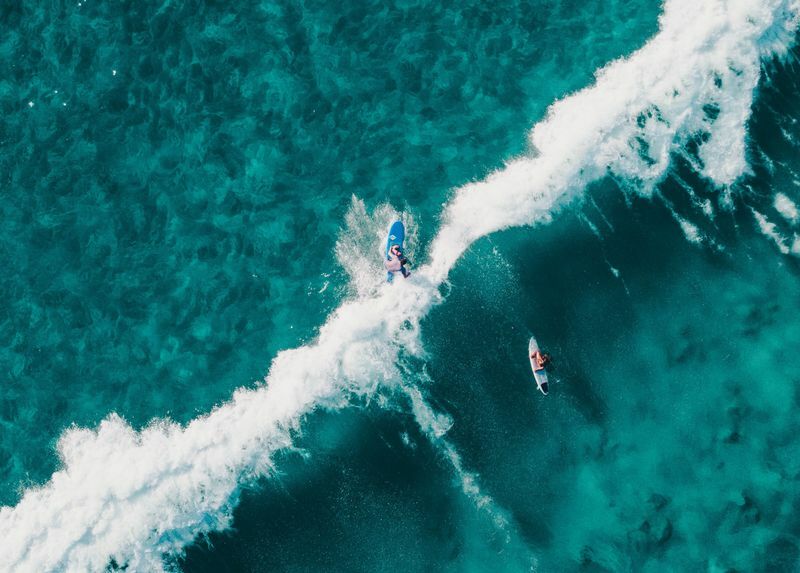 Many of you make the mistake of taking inspiration from the professional surfers, thinking that, just like them, you can hit the waves with a 5-foot-something surfboard. Moreover, I have heard many beginners admitting that the reason they have bought shortboards is because they thought that dragging along a 9ft tall surfboard gives away your amateur status and that is why they surf on shortboards. But you decide for yourself which would be more embarrassing – being seen with a big board or not being able to ride any of the tall waves? Shortboards are lightweight and might get toppled easily even by the smallest waves if you do not have the right technique. So I would suggest that instead of going for a shorter and thinner board, you go for the larger ones so that you get enough area to tackle the waves. It would be a foolish decision to go surfing without brushing up your swimming abilities. Before you walk down the beach towards the waves, make sure that you have honed your swimming. Just knowing a few strokes isn't going to be enough. Before taking the shot, practice and get better at swimming. You must be ready to face the waves and must be able to handle being thrown off into the gurgling water. And for that, you would need proper practice. So make a daily schedule and practice your strokes for an hour at the least. Practice the basic 101-style must-haves. Surfing calls for a lot of physical fitness, and rocket science isn’t involved in the fact. 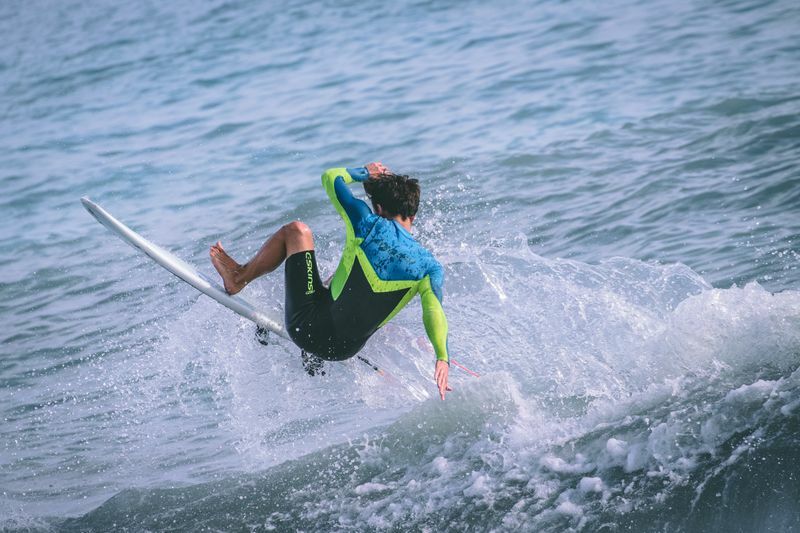 A common mistake that most young surfers make is underestimating the importance of physical stamina. It hurts their ego to accept that they aren’t in their best shape. But you need to understand that surfing can be physically demanding. So, you need to work out to bring in the required level of fitness before hitting the waves. It is not important that you do strenuous weightlifting and similar heavy stuff. A little cardio and freehand exercise should be enough. 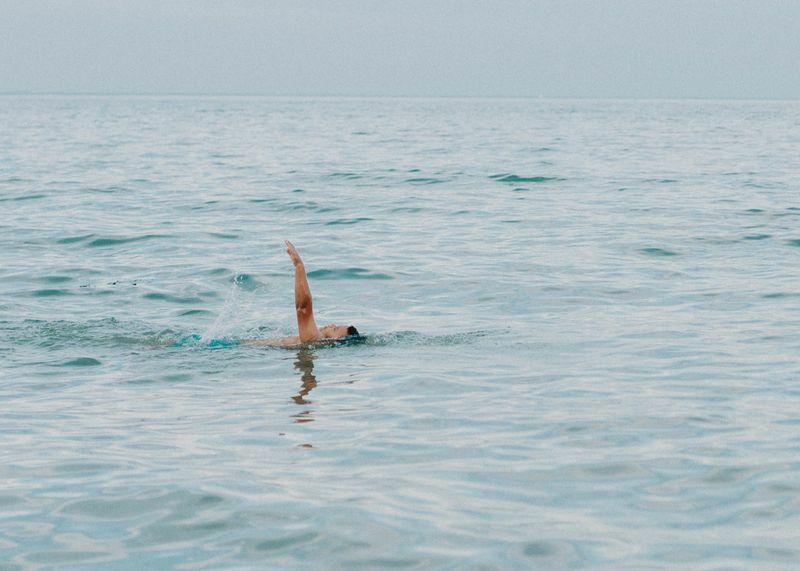 Do endurance exercises to increase your stamina so that you can stay in the water for a longer period. You can also use some yoga for flexibility. If you think suiting up isn’t anything complicated, then you are wrong. First-timers often make the mistake of wearing their wetsuits either back-to-front or inside out. Now, you would think that it is a trivial issue and isn’t important to check on it. Putting on a wetsuit can be more difficult than given credit for. An easy way to put it on is to check the logo. The brand logo should always be in the front. 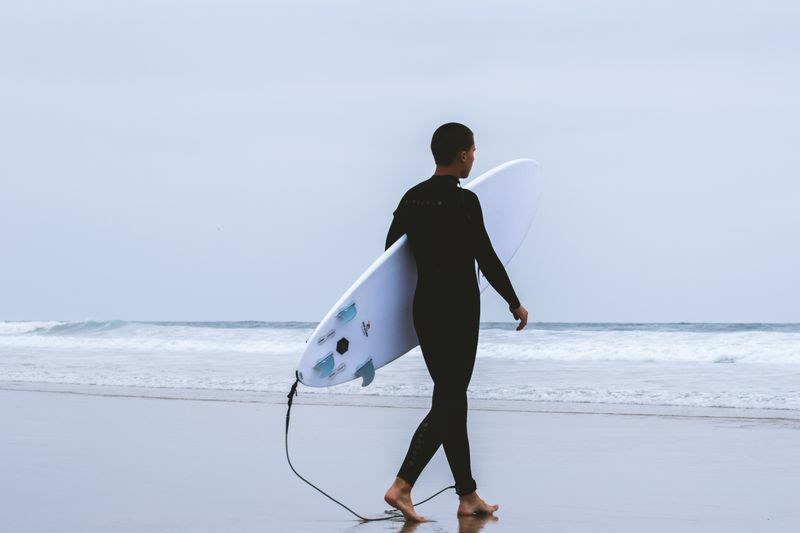 In addition, here are some extra tips regarding the wetsuits – if you see that the suit has a long chain, then understand that it is the back chain and therefore should fall to the back. But if you see a small horizontal chain, then you should know that it is to go in the front near the chest. And if you are wearing boots and gloves, make sure that you tuck them in properly so that the water does not enter your suit and makes it heavy. One fatal mistake that most beginners make is in the way they wax their boards. Having no one to guide them, they often end up waxing both sides of the surfboard. What you need to remember is that the wax goes only on the top and not underneath it. Apply wax on two-thirds of the board along with the rails for the right amount of traction. Another thing to keep in mind is the type and quality of the wax. You need to remember that there are various kinds of wax, some of which are only recommended for certain water temperatures. 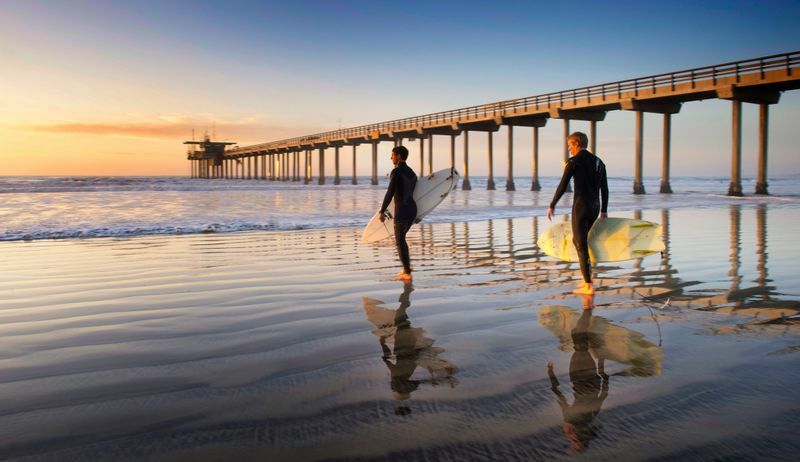 If you are surfing in warm water, then you would need thicker wax so that it does not melt off quickly. If you think dragging your surfboard while walking towards the water makes you look cool, then it does not. In fact, if you ask any professional, they will tell you how the habit screams of being a kook. 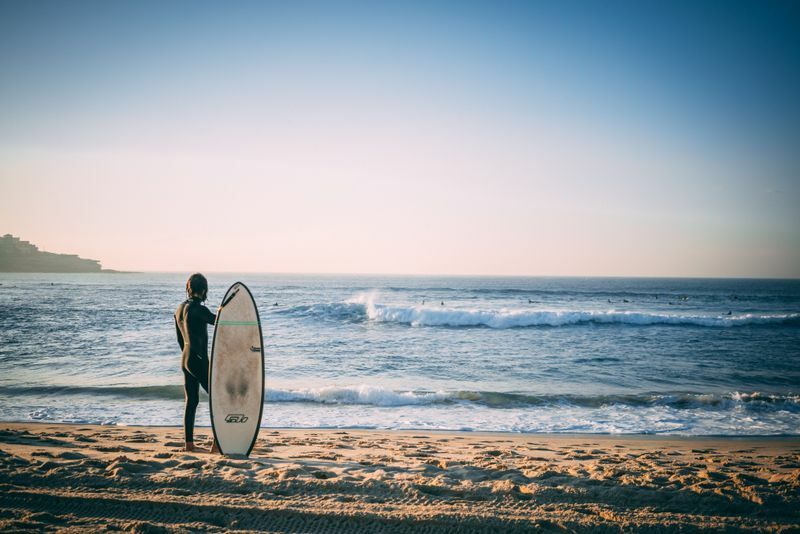 Dragging your surfboard by the tail or the nose along the beach can damage the board. There are several obstacles like small stones that your board will hit and get damaged. And if you thought a damaged board isn't a matter to worry about, then let me tell you that a damaged board will provide you with less traction. So make it a point to carry the board under your arm, or simply rest it on your head while approaching the waves. You can also wrap the tail of your board with your leash to secure it. The surfboard carries you over the crashing waves, and you must take adequate care of it. Most often, surfers cannot break through a wave because of the incorrect stance that they take on the board. 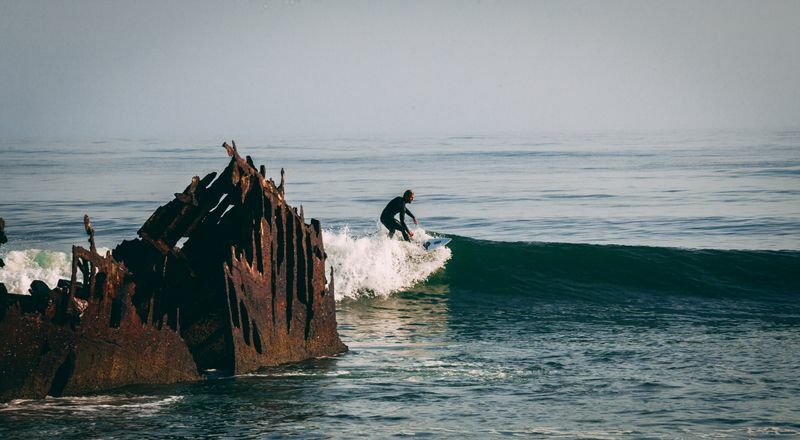 What you need to understand is that when you paddle into a wave, the board should carry the majority of the weight towards the nose, so that you can be aligned with the gravitational force. Unfocused pop-ups can ruin your surfing experience, sending you back to the beach feeling dejected. So many times have I seen novice surfers taking an untimely pop-up and losing balance. Make sure that your pop-ups are swift and precise. Bad posture can be fatal; if your weight is pulling too far back on the board, you'll fall. The same goes if it's too far forward or leaning more left or right. This is quite a tricky thing, and I would suggest you take surfing lessons from professional instructors. 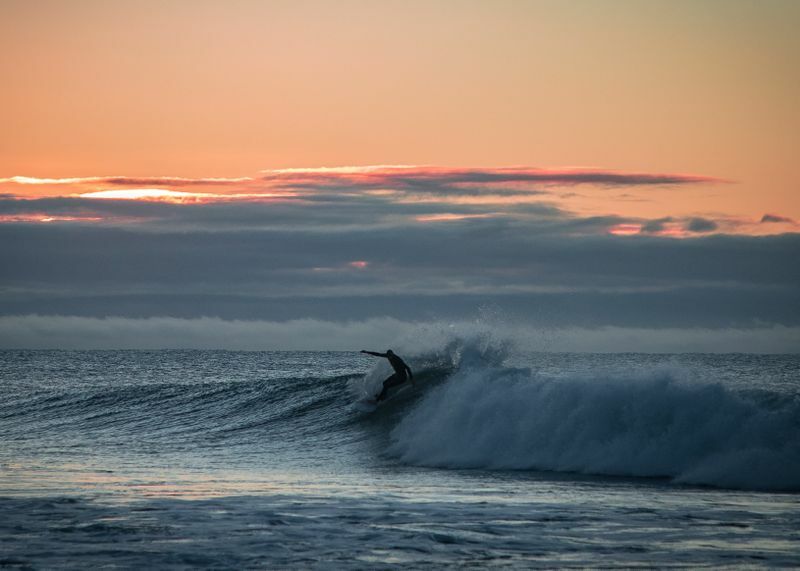 Catching the right wave isn't a thing that you would learn on your very first attempt. With practice, you will gradually get a better understanding of the waves that you should miss and the ones that are safe to ride on. For a beginner, it would be a wise decision to choose a beach where the waves are not too big, and the current is not too overpowering. You would also want to check for dangerous reefs and rocks under the water or any shallow flatlands around. Gravity is a key player when it comes to surfing, and most beginners fail at ascertaining the right position to stay aligned with gravity. 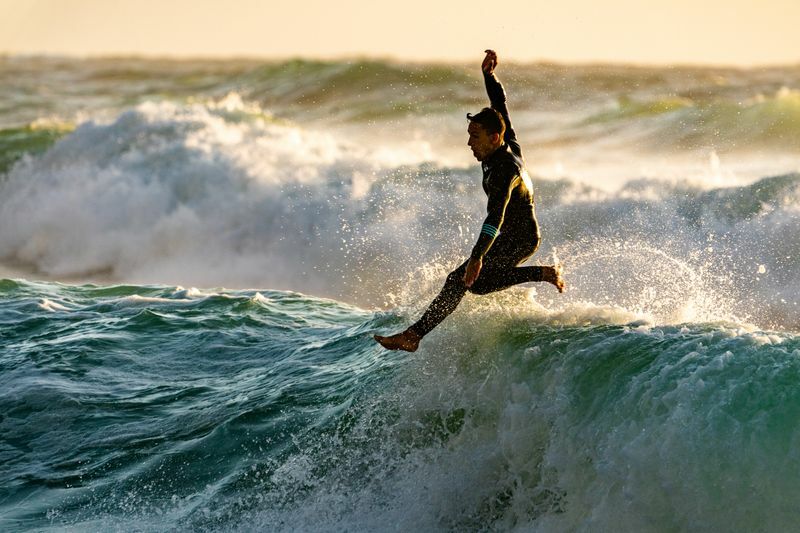 I have seen many surfers panicking and reacting with an upright body position and forward-facing shoulders. What you need to understand is that this position makes you lose control, resulting in a wipeout. To counter gravity, you should always bend low from the hips instead of the shoulders. Also, pay attention to where you are heading to. One moment of inattentiveness and you could be thrown deep under the water. So, instead of looking at your board, keep your eyes forward and your head up. And never forget the leash! Your surfboard’s leash should be attached to the ankle of the foot that you keep at the back. Now that you are aware of these common surfing mistakes, learn from them and take the lesson. The next time you plan to surf, make sure you crush the waves. All the best, surfer! 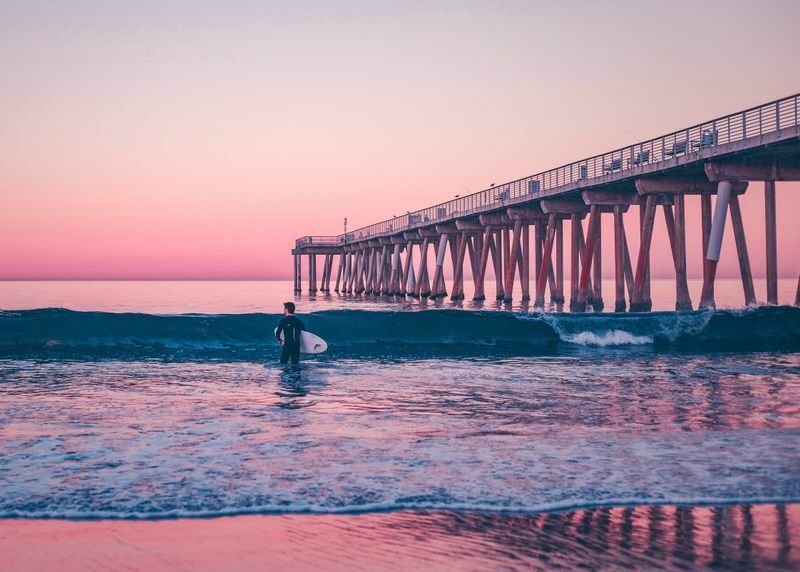 This article was written with the help of John Carter, surfer and writer offering assignment help, and one of my colleagues and surfer friends, Jedda Cain, an essay writer. 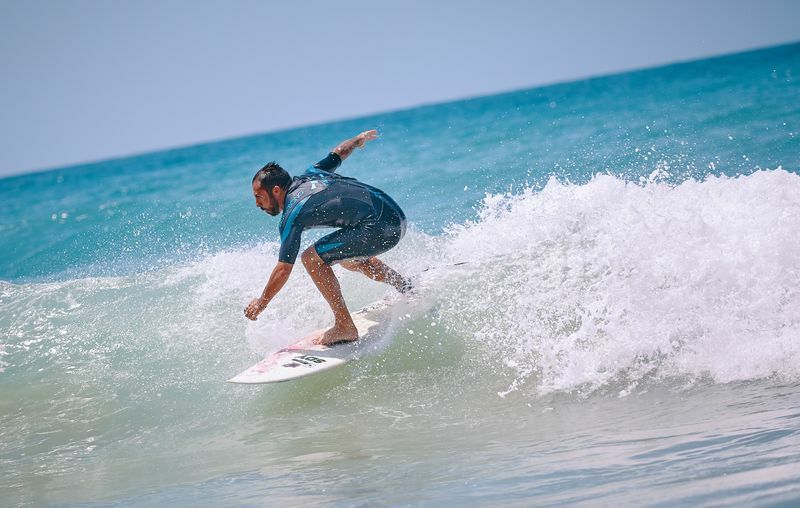 Now that you know the common mistakes you should be avoiding as a surfer and how to stop looking like a kook, take your practice to the next level by joining a surf camp for intermediate surfers! Ava is a surfer by choice and blogger by profession, regular contributor and assignment help writer for several educational portals and one of the most popular guest writers. She has an eye for spotting smart talent suited to the business industry and likes to provide effective tips through intriguing blogs in her spare time.